Technology brings success to my classroom! … And maybe some challenges. In my class, I think I hit those bullet points and I try to incorperate as many relevant videos and ways to puttechnology into assignments as much as I can. I often find it useful to have a few shorter videos, combined with questions in between to get my point across. This way it is a mixture of instruction and discussion from me, an expert from a medium they love (YouTube) and their own thoughts and feelings. In the text book, they explain that “Means et al. attributed the slightly better performance of blended learning to students spending more time on task” but my immediate thought was does that mean they are interested? When I do this type of lesson it is usually one of the better days in a grade 11 and 12 ELA classroom. I find that I can evoke emotion through discussion, I engage them with the videos, and then usually force them to do the questions. 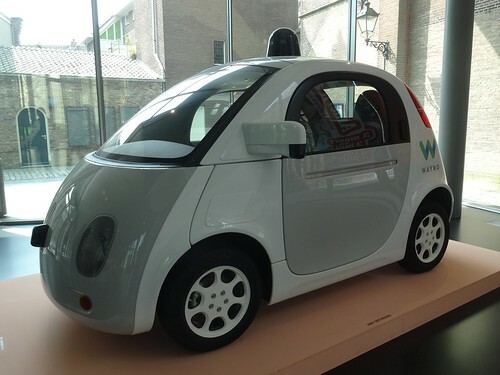 But even thinking back to my last lesson on Waymo (Google’s Driverless Car) I had the most success with that assignment in that most of my students handed the assignment in, we had lengthy discussions, and my favourite part… opinions! I have taken two other classes from Alec and each time have tried to implement his teachings into my class. The first semester, I fully embraced Google Classroom. I was very hesitant and honestly struggled a bit. At first, it was annoying for me to figure out how to post things. I had so many sections of ELA, and it seemed redundant to have to post in so many places… Then I saw the feature to copy it to multiple classes. I didn’t like that I didn’t have a paper copy of assignments to make edits on, so I found editing harder….But then I learnt how to comment and highlight. Lastly, I didn’t like that their parents didn’t have physical evidence of their work so they could help them… Then I realized I could add them as guardians and they could get a weekly memo about my class, automatically, without me doing anything. ith students on their writing and show them how to fix it instead of rewriting their whole answer on paper, or having them take a glance at all my hard work, only to be put in the back of their binder without the improvements. It has also allowed me to keep in touch with parents. There is some accountability on them, but mostly the students. They don’t have anymore excuses about not handing things in, or not getting an assignment. It can be accessed anywhere which is perfect. At the same time, I was learning about Blogging and I was very excited. I was having fun with learning the new tools, but having a hard time motivating my students. I thought if I could teach them how to do their assignments online, they could add pictures of vehicles and write about the fun things they were reading about and watching. Instead it was an uphill battle. My students hated all of it. I think I had one student actually enjoy it, but gave up after a bit. I had so many comments about wanting to read and write about cars, but not wanting to find pictures and learn about attributions. My students honestly slowed down and seemed less engaged in my class. I think with blogging it was a case of reading my audience. My students are hands on learners. They love to work on vehicles and solve problems physically. Most of them hate reading and writing, so adding another element did not bode well for me. MyBlueprint is another way I have implemented technology with my class. There we complete goals, learn about the trades, but most importantly, we create a portfolio of their learning in Auto. Students are able to post pictures of work they have done, make goals related to employable skills and essentially set up a portfolio to show future employers. I like the idea of MyBlueprint because it is accessed by my students homeroom teachers who can see what their students are up to. Eventually I would like to put Sask. Youth Apprenticeship on MyBlueprint to make it easier for students to access and learn about. In Teaching In a Digital world, Chapter 9: The continuum of technology-based learning they say that “blended learning, should be deliberately introduced and gradually increased as students work through a program, so by the time they graduate, they have the skills to continue to learn independently – a critical skill for the digital age.” I feel like I would be doing my students a disservice by not making them do these types of activities. Plus, you can’t ignore the evidence. In the article The Myth about No Significant Difference They describe “Learning is an active process. In fact, the more active the learning is, the more likely the student is to learn. Simulations allow students to learn by doing. Visualizations enable students to see information that may have been hidden in tables of numbers. Students use technology as a key enabler in problem-based learning, searching for background information, conferring with team members, and using the tools of the profession to develop solutions.” I preach all the time that my class prepares students for the future. I want them to be ready to work when the time comes. I need to implement this type of learning so I can make productive members of society. I think this semester in Alec’s class will be great because I will be exploring sites that allow me to create whole units online. Make interactive lessons that can be accessed anywhere. Also, my lessons possibly recorded so students can access information (flipped learning… I just learnt this term). I feel like it will be Google Classroom on steroids. I am really excited to see how I can take my class and make it more interactive and interesting for my students. Previous Post Good things come in threes! I’m glad you have found Google classroom to be helpful in this way. I have found much the same in my own experience with it, along with other tools like Seesaw for younger grades. It certainly is a convenient way to provide pretty live feedback, and as you say, incorporate parents into the process with more ease as well! This is a really cool idea! Thank you Wendy, I am going to check this out! Hey Amy! I too am excited to see where this class takes me – I think even at 7 & 8 years old, my kids can handle technology and blending teaching/learning. I really like how you highlight that opinion pieces are your favourite – I completely agree! I love when my students get passionate about something and are able to back it up – sometimes we need to just facilitate the fire! . It really makes the classroom a fun environment! Hi Amy! I am looking forward to following your blog posts about “Google Classroom on Steroids!” I love it! I also use Google Classroom as a management tool and have been trying to use it more and more for lessons and activities in my ELA classes. I think you are right, especially as ELA teachers, that it is important to prepare our students to continue learning after graduation and what better way to prepare them than to teach them the proper tools they will need in a very digital world. I have tried doing some discussion forums on Flipgrid with my classes and it hasn’t gone over as well as I liked. They were very nervous to have their peers watch their videos and respond to them. I think this is another case, like you said about reading my audience, but maybe it’s a tool that you could use? Google Classroom has been a great tool for me and I need to start using more of the features, like connecting with parents and holding my students accountable by handing in their assignments online. Looking forward to seeing how your modules go with these ideas and hoping I’ll be able to try some things like that as well!! Thanks for your insights on Google Classroom, Amy. I don’t have any experience with this program and am always interested to learn more about what teachers are using, what is effective/what isn’t, etc. Based on its popularity, I may use Google Classroom as a means to construct my online project for this class. I hope you wouldn’t mind if I messaged you with questions that I might have? No problem Kelsey, message me anytime! I asked Alec, and he explained that I might want to use a different site because Google Classroom is more of a management tool. But he said he would provide us with examples tomorrow. I am not sure if I am confused or not. But please give Google Classroom a chance. I have found it easy to use and beneficial. Thank you for sharing your experiences here. I do agree with you on a recording . I think a recorded video provides the students an opportunity to review the context as many times as they need. This is my third class with Alec too! I also have been way more open in terms of trying new types of technology in the classroom. I definitely have gained more confidence in terms of trying new platforms, including google classroom like you. I am happy I did! Once I got use to it and the hang of it, I could really see the benefits of it!